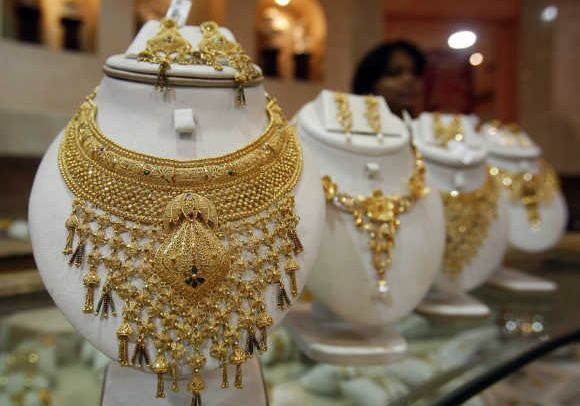 India overtook China as the world's biggest gold consumer in 2014 as global physical demand fell, an industry report showed on Thursday, forecasting that prices that have declined for the last two years would bottom out this year. 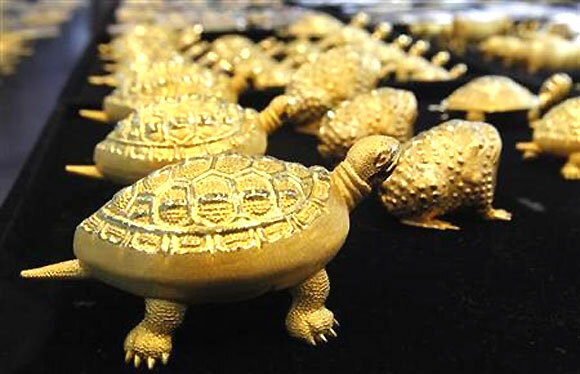 Chinese gold demand slid by more than a third last year to a four-year low of 866 tonnes, while the country's scrap gold supply rose 21 percent to an unprecedented 182 tonnes, the report by GFMS analysts at Thomson Reuters showed. Slower economic growth and a crackdown on corruption helped knock Chinese jewellery demand to 608 tonnes, 33 percent below the previous year's "extraordinary" levels, it said. Physical bar demand fell 53 percent to 171 tonnes, a five-year low. "We do expect an increase in Chinese demand this year. However, without a dramatic course of events we would not expect it to come close to matching the level in 2013," GFMS analyst Ross Strachan said. "The recovery will be helped by the fact there was an overhang of stock at the start of 2014 in China due to the voracious buying in 2013, and this kept purchases subdued last year." Indian jewellery demand rose 14 percent last year to a record 690 tonnes, putting it back ahead of China as the world's number one jewellery manufacturer. The drop in buying in China helped drive a 19 percent fall in global physical gold demand, with all areas declining except central bank buying, the report said. 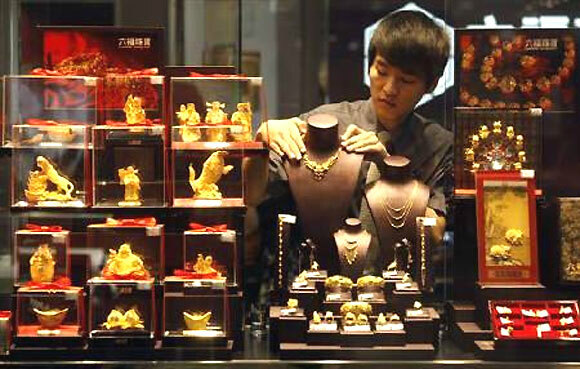 World jewellery demand fell 11 percent. An expected price decline to an average $1,180 an ounce in the first six months of this year is not expected to be enough to stimulate fresh retail investment demand, the report said. Gold prices are expected to average $1,170 an ounce in the full year. That should mark the low point of spot gold's decline of recent years, GFMS said. It ended a 12-year bull run with a 28 percent drop in 2013 and declined another 1.5 percent last year. "This year is forecast to be the nadir for average annual prices," GFMS said. "With price-elastic buyers partially sidelined in 2014, we expect fresh pent-up demand later this year to give price support and start to reverse the prevailing bear market." On the supply side, gold mine production rose 2 percent to a record 3,109 tonnes in 2014, though that was offset by an 11 percent drop in scrap supply. Gold mining companies also returned to net hedging last year for only the second time in a decade. Indians have $1 trillion worth of gold!